The new Comiskey Park opened on April 18, 1991, three years after the Illinois General Assembly passed legislation to build the park directly across the street from old Comiskey Park. A ground-breaking ceremony was held on May 7, 1989, with Mayor Richard M. Daley and Governor James Thompson in attendance. The new park featured an exploding scoreboard, an old-time facade complete with arches and over 40,000 unobstructed-view seats. 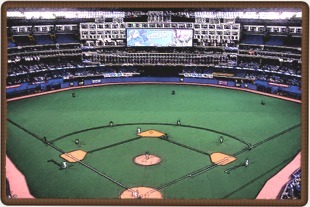 The ballpark attracted a club-record 2,934,154 fans in its first year.